Baby-led weaning, is an exciting and natural approach to weaning, based upon things that people have done all over the world for centuries. In this process you let your child feed themselves from the very start of weaning, alongside breast or bottle feeding. According to the most recent research most babies reach for food at around six months, which is also the time that mothers are being encouraged to start solid foods by health professionals. 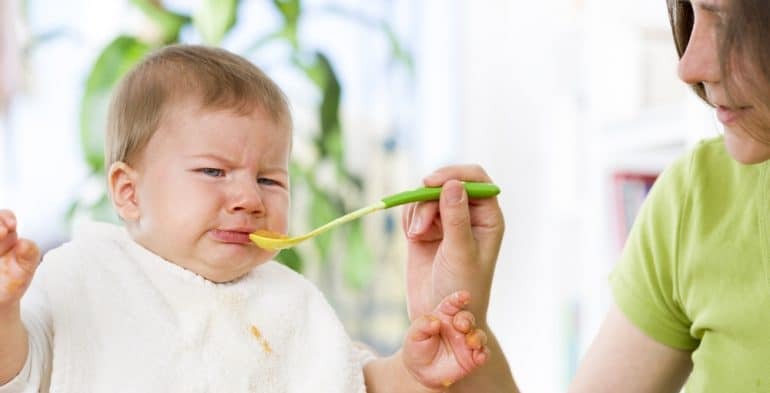 The distinct advantage of weaning at around six months is that by then, children have the coordination and motor skills to start feeding themselves proper food. This means you don’t have to mash everything up into purees and feed your child with a spoon. You just hand them the food in a suitably-sized piece and if they like it they eat it and if they don’t they won’t. One of the best things about baby-led weaning is it supports the development of eye-hand coordination, chewing skills, dexterity, and healthy eating habits. It also encourages babies to learn self-regulation. Baby-led weaning helps babies to learn to stop eating when they feel full. With spoon fed purees, parents can sneak in a couple more spoonfuls even if the baby is full. This means babies learn to overeat and not recognize the body’s signals that they have had enough. If you feel that this is the right method for you and your baby and are fed up with purees then Baby-Arabia says – “give it a try”. Here are some guidelines on how to get it right. 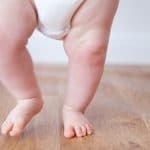 Be prepared for the mess.Your floor and you baby will need cleaning after this. Buy a bib! Make sure your baby is ready.Your child should be able to sit in a high chair unassisted, and be able to hold their head up. They should also be able to move food to the back of her mouth with up and down jaw movements. Continue breastfeeding and formula.“Weaning” is actually bit of a misnomer. Breast milk or formula will continue to be a baby’s biggest source of nutrition until he or she is 10 to 12 months old. Pull up a chair.You’re not off the hook for fully engaging at mealtime: Continue to socialize with and supervise your child. Start with soft first foods.Ripe fruits, cooked egg yolks, flaky fish, moist and shredded meats, puffed cereals, and cooked pastas and vegetables are all good options. Prepare foods for easy grasping.Cut food into long, thin strips, using a knife or with a crinkle cutter. The pieces should be big enough for baby to grasp and chew on. Consider nutrition.Make sure there are high-calorie foods and those with iron, zinc, protein, and healthy fats on the tray, so that your baby gets enough of what they need. Dine as a family. This helps baby to learn social skills and lets them experience food in all its’ dimensions.